Samson Ssenkaaba, better known as Xenson, is a Ugandan artist who follows a multidisciplinary approach that includes fashion, performances, installations, videos, and painting. His work explores contemporary issues of identity and consumption, human excess and the global circulation of cultures. As a lonely dreamer, Xenson was decisively influenced by the greatness of African culture, the vitality of African dance and hip-hop as a free expressive art form. After switching from the engineering school to the Makerere Trowell School of Industrial and Fine Art, he graduated with a diploma. Since then, his work has been shown in various exhibitions, performances, and installations in and outside of Uganda. 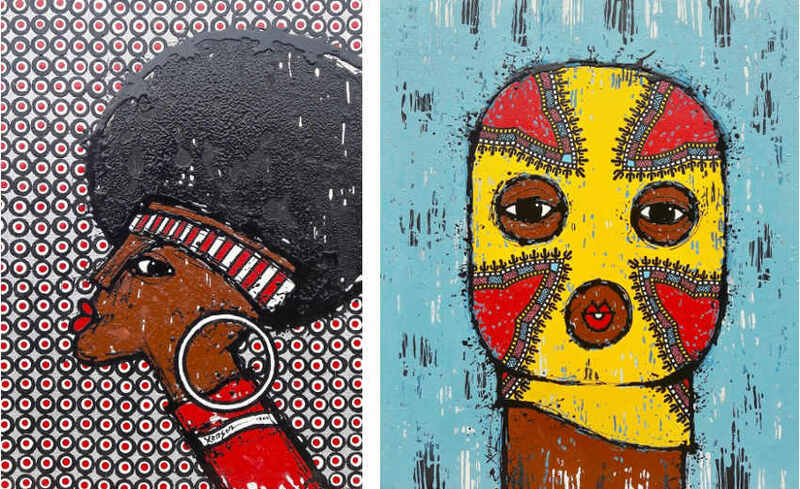 One of Xenson’s latest body of work titled Barakoa (the Swahili word for mask) explores humanity’s obsessive tendency to hide behind facades, visible or invisible. It highlights but also demystifies pre-conceived and stereotyped identities. 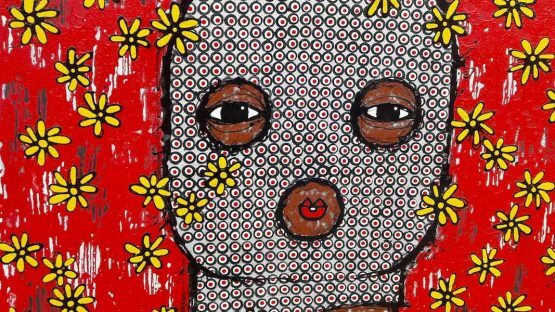 The artist intentionally creates a perceived aesthetic of flowers, patterning and bright colors around this otherwise unsettling subject matter. This superficial adaptation mutes the fear and disguises the impending tension that waits silently beneath surface. Whether hand painting clothes for his Art for Wear fashion label “XENSON”, live graffiti performances and back chops co-directing music videos and Hip-Hop shows or reciting his poetry, Ssenkaaba lives up to his motto, “creativity is limitless”. Xenson lives and works in Kampala, Uganda.